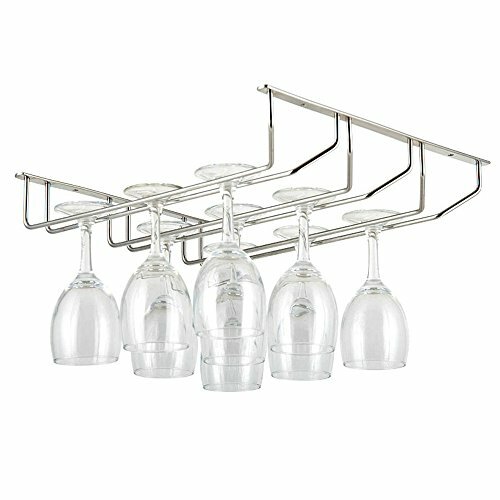 ①This 3 rows design stemware rack set is designed for wine glasses. ②Stainless steel material,silver color,matches the color of glasses well. ②Can be hung on 18 to 20 goblets.Perfectly meets your needs,saving space for you. ③Install this racks to display your wine glasses while protect them well. ④Pour yourself a glass of wine and enjoy it after a long stressful day at work. ⑤Also a great choice for a gift to your family friends. Package Includes:1 x Chrome Plated Glass Cup Hanger(Wine Glass Not Inc). We love our customers, customer satisfaction is our priority. We promise you a good after-sale service, contact us if you have any question, we will address your issue in 24 hours. If you have any questions about this product by Genenic, contact us by completing and submitting the form below. If you are looking for a specif part number, please include it with your message.